This page will be updated to give everyone a virtual peek inside my beer fridge. I’ll try to update it whenever the contents change substantially. These may be rare items I’ve hunted down and purchased or the leftovers of a recent party. Thou beer snobs shalt not judge. 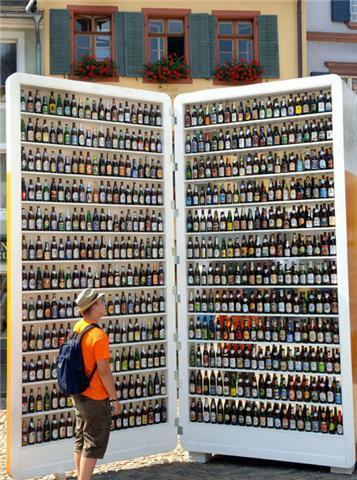 Wouldn’t a fridge like this be nice?